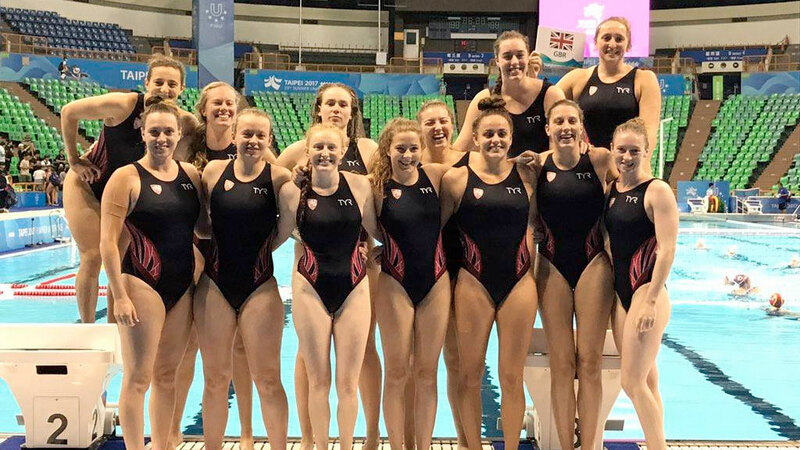 England Water Polo Performance Pathway Lead Phil Winstanley insists the British performances at the 2017 Universiade have set a solid platform for the progression of the senior men’s and women’s water polo teams. The British teams both secured top 10 finishes at last month’s competition in Taipei City, Taiwan. Both teams picked up encouraging results at the event, with the British men accounting for Canada in the knockout stages before finishing eighth overall. The British women also impressed in the knockout rounds, seeing off Argentina before taking Greece to penalties as they finished 10th. “The World University Games provided a fantastic opportunity for our athletes,” said Winstanley. “If we have ambition to compete on a European and World stage then we must grasp opportunities like this with both hands. “Both teams have come together in less than a year and acquitted themselves fantastically well against established teams. While the men lost their first match to France, they bounced back with three consecutive wins. Victories over Republic of Korea and Chinese Taipei in the group stage were followed by a dramatic 7-6 defeat of Canada to qualify for the quarter finals. The Brits faced France again in the last eight, and while they narrowed the margin from their group game, they ultimately lost out 13-4. Further defeats to Hungary and the Netherlands saw the GB men place eighth overall, matching their target before the start of the competition. “From the outset, we knew our tournament objective was to make the top eight,” said head coach Tim Dunsbee. “The draw gave us an opportunity and it was for us to take advantage of it. The British women were handed a tough group draw, facing countries who ultimately finished second (Hungary), third (Japan), fourth (Russia) and fifth (Canada) in the overall rankings. While they lost out to those four sides, the Brits drew their other group match 9-9 against New Zealand, then won their first classification match with a 7-4 defeat of Argentina. In their 9-10 classification game, the GB women took Greece – whose senior team were seventh at this year’s World Championships – to a penalty shoot-out before losing out 11-10. “I’m really proud of the players,’ said head coach Theo Nousios. “In a short space of time, the girls managed to come together as a team and be competitive. “We always knew the standard of competition would be very high. “Strength, decision making under pressure and inexperience were our weaknesses. However, GB ladies still performed above everyone’s expectations to draw against New Zealand and Greece, games we now know we could have won.